Determines the distribution of soil particles smaller than No. 200 (0.075mm). Graduated glass cylinder used in determining amount of soil in dispersed suspensions. 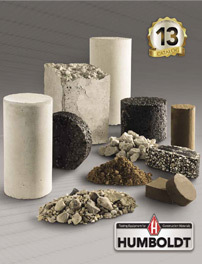 Alternative method for dispersing soil suspensions used in hydrometer method of testing sub-grade soils.